Deadly terrorist attacks follow Israel bombing Syrian jet, extracting death squad White Helmets from occupied Golan. Sweida, SANA 25 July — A number of citizens were martyred and others were injured on Wednesday in a terrorist suicide bombing in Sweida city. 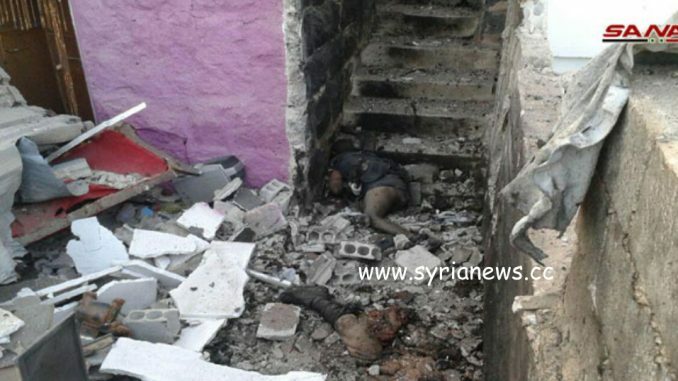 SANA reporter in Sweida said that a terrorist suicide bomber blew himself up in the area of al-Souq in Sweida city, as a number of citizens were martyred and others were injured.